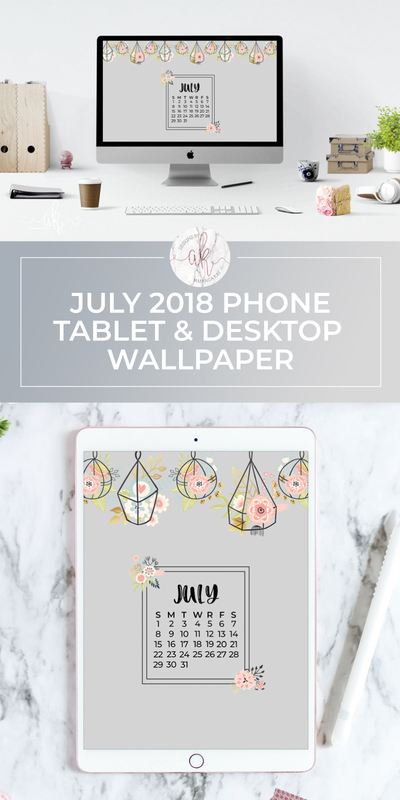 Why not give your phone, tablet and/or computer a fresh new look for July with this completely FREE July 2018 wallpaper. It’s so weird to me that Sunday will be July 1st! July is one of my favorite month’s, not only because it’s my birthday month, but it’s also the peak of Summer! 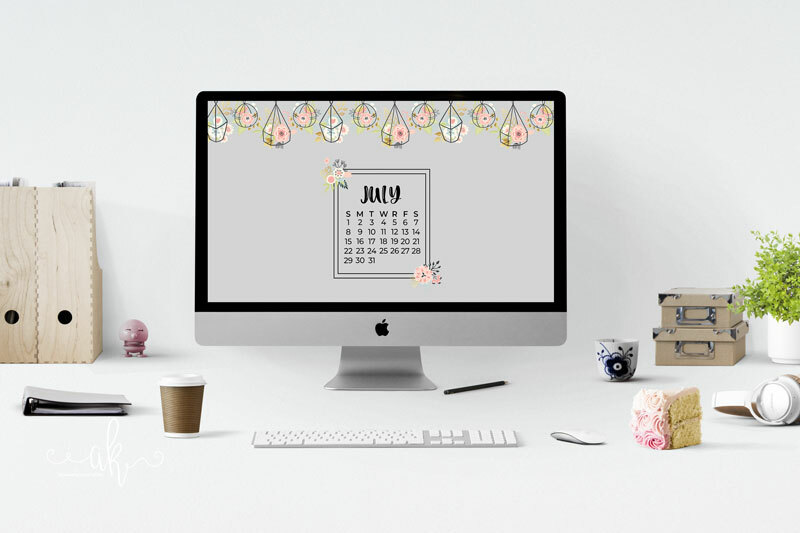 So I designed this month’s free wallpaper with Summer in mind. Sure it might not be your traditional Summer imagery, but fun and colorful florals always say summertime to me! The floral graphics came from a past bundle from The Hungry Jpeg. 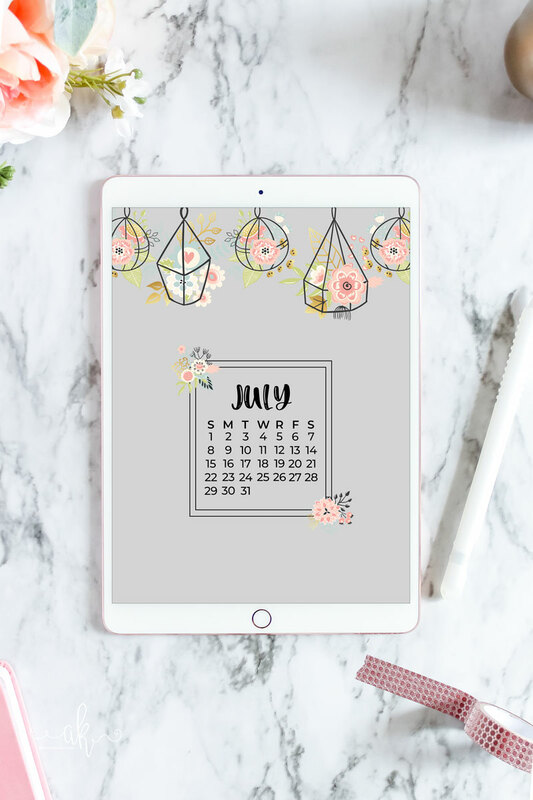 The July font is called Oaker and it’s one of my favorites! 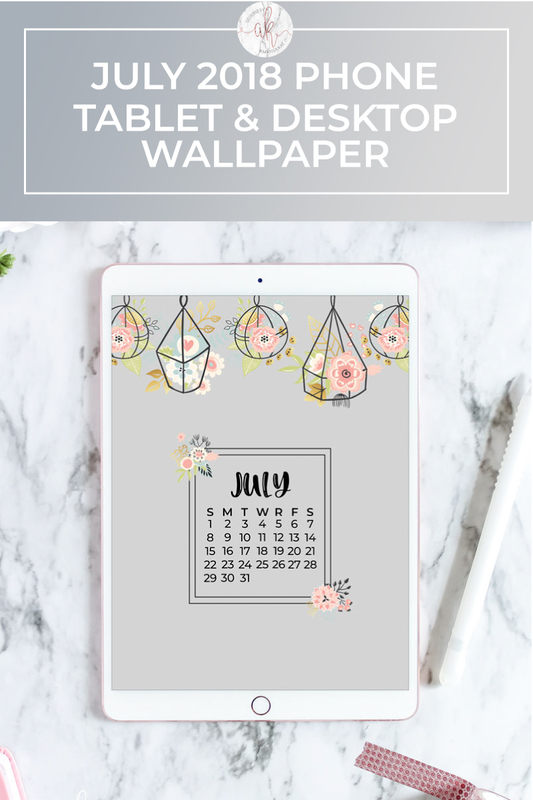 To download your Free July 2018 wallpaper, simply click on the link below the pictures for each size. You will be directed to a Dropbox link to download. 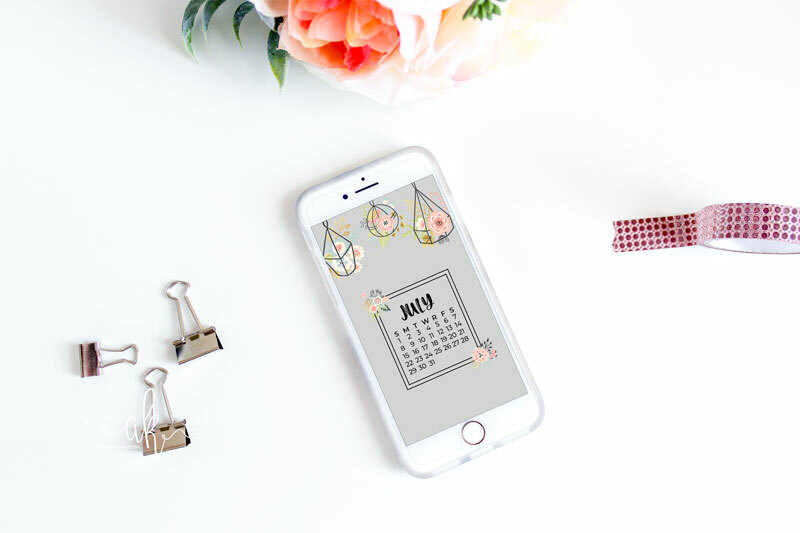 Check out my other freebies while you’re at it!